The Battle of Ramsour's Mill took place in present-day Lincolnton, North Carolina, during the British campaign to gain control of the southern colonies. The number of fighters on each side of the battle is still an issue of contention, but Loyalist militiamen (many of them German Palatine emigrants and settlers in the local area) outnumbered Patriot militia and had captured a group of Patriots who they were planning to hang on the morning of June 20. The one to two-hour battle during the foggy morning did not involve any regular army forces from either side and was literally fought between family, friends, and neighbors with muskets sometimes being used as clubs because of a lack of ammunition. Numerous cases of fratricide occurred during the battle. William Simpson, a patriot scout, rushed to the battle to kill his brother Reuben, and Peter Costner, a loyalist, was killed by his brother Thomas who buried his sibling's corpse after the fight. Despite being outnumbered, the Patriot militia defeated the Loyalists. Armies - American Forces was commanded by Col. Francis Locke and consisted of about 450 Soldiers. British Forces was commanded by Lt. Col John Moore and consisted of about 1,300 Soldiers. Casualties - American casualties were estimated to be 150 killed/wounded. British casualties were estimated to be 150 killed/wounded and 50 captured. On June 19, Rutherford sent orders to Lieutenant Colonel Francis Locke and other local militia leaders to call up their militia. Locke gathered a force of 400 cavalry and infantry at Mountain Creek, about 16 miles to the northeast of Lincolnton. Their intelligence showed that the Loyalist force was more than three times their size, but it was decided to attack early the next morning without waiting for Rutherford's forces to join up due to a fear of reinforcements to the British force. On June 20, at daybreak, they were one mile from the Loyalist camp, located on a hill about 300 yards east of the mill belonging to Jacob Ramsour. Loyalist John Moore had served with the British at the Siege of Charleston and returned to his home a few miles from Ramsour's Mill with tales of battle. He called together a group of about 40 Loyalists on June 10 and shared with them instructions from Lieutenant General Charles Cornwallis that for safety they should avoid organizing before British troops entered the area. News came to the meeting that a group of about twenty Patriots was looking for Moore and other Loyalist leaders. Moore and his men decided to find and confront them, but were unsuccessful. Moore then told his men to return home, and instructed them to join him in a few days at Ramsour's Mill. On June 13, 200 men arrived there, and the number grew in the following days, buoyed by news of the British victory at Waxhaws. By June 20, the Loyalist camp had grown to about 1,300 men. By June 20, these zealous loyalists collected at Ramsour's Mill a force of 1,300 Tories, and were actively engaged in their organization and drill preparatory to marching them to unite with the British in South Carolina. They occupied a well chosen and advantageous position for offense and defense. It was on a high ridge that slopes three hundred yards to the mill and Clarke's Creek on the west and the same distance to a branch on the east. Locke collected a force of Rowan and Mecklenburg militia to engage the Tories. His detachments met at Mountain Creek, 16 miles from Ramsour's on June 19, and when united, amounted to 400 men. They marched at once to the assault of the Tory position. On June 20, at dawn, within two miles of Ramsour's Mill, they were met by Adam Reep, a noted scout, with a few picked men from the vicinity of the camp, who detailed to Locke the position of the British, and the plan of attack was formed. The mounted men under Captains McDowell, Brandon, and Falls, marching slowly were to follow the road due west to the camp, and not attack until the footmen under Locke could detour to the south, and reach the foot of the hill along the Tuckaseegee road, and make a simultaneous assault. They proceeded without other organization or order, it being left to the officers to be governed by circumstances when they reached the British force. The mounted men came upon the Tory picket some distance from the camp, were fired upon, charged the Tory camp, but recoiled from their deadly fire. The firing hurried Locke into action, a like volley felled many of his men, and they likewise retired. The Tories, seeing the effect of their fire, came down the hill and were in fair view. The Whigs renewed the action, which soon became general and obstinate on both sides. In about an hour, the Tories began to fall back to their original position on the ridge, and a little beyond its summit, to shield a part of their bodies from the destructive fire of the Whigs, who were fairly exposed to their fire. In this situation, the Tory fire became so effective the Whigs fell back to the bushes near the branch; and the Tories, leaving their safe position, pursued half way down the hill. At this moment, Hardin led a company of Whigs into the field from the south and poured a galling fire into the right flank of the Tories. Some of the Whigs obliqued to the right, and turned the left flank of the Tories; while Sharpe led a few men beyond the crest of the ridge, and, advancing from tree to tree, with unerring aim picked off the enemy's officers and men, and hastened the termination of the conflict. The action now became close and warm. The combatants mixed together, and having no bayonets, struck at each other with the butts of their guns. When the Whigs reached the summit they saw the Tories collected beyond the creek, with a white flag flying. Unable to make it to the bridge, 50 Tories were taken prisoners. Those beyond soon dispersed and made their escape. Almost a quarter of the Tories were unarmed, and they with a few others retired at the commencement of the battle. Casualties were difficult to assign since almost no one was wearing any sort of uniform. Estimates of dead on each side were between 50 and 70, with about 100 wounded on each side. The battle, in which muskets were sometimes used as clubs because of little ammunition, was fought between "neighbors, near relations, and friends". Many bodies lay scattered over the hill in the aftermath, and many dead we buried on the hill by their grieving wives, mothers, and children. Loyalists were imprisoned, and their property was seized in the aftermath. However, according to one account of the battle's aftermath by Robert O. DeMond: "Of the Tories captured, all were paroled except a few who had committed serious depredations, and these were placed in the Salisbury jail. Those who were paroled were as honest now in keeping their new pact as they had been before in keeping their former one to the King. 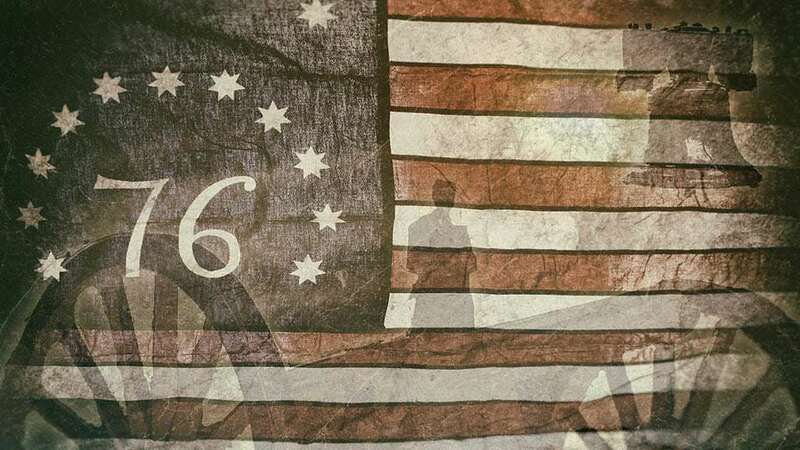 Many of us believe that Abraham Keener was one of this group who changed his allegiance and became a loyal Patriot." Loyalist James Karr wrote to his old friend Rutherford, who he had served with in the Cherokee War of 1776, for reconciliation and help in regaining his confiscated property and reuniting with family. Rutherford rebuffed his request, telling Karr: "As to your General Conduct an Honest Neighbor you have cause to think you desarve my countenance, but as an open enemy you must know that you desarve none." Their defeat so badly demoralized the Loyalists that they never organized again in that area. Moore and about 30 men managed to reach Cornwallis at Camden, where Cornwallis threatened him with charges for disobeying his orders. Lieutenant Colonel Turnbull wrote to Cornwallis that "had it not been for the Weak Silly man Moore who led a Parcell of those poor Innocent Devils of North Carolina into a Scrape, we should have been now in Perfect Peace on this Frontier." As for the majority Scots-Irish inhabitants of the Catawba River Valley, Turnbull wrote: "I wish I could say something in their favor. I Believe them to be the worst of Creation - and Nothing will Bring them to Reason but Severity."